Here is a quick video that takes you through the process of listing a book for sale on Amazons Kindle plus very important information about the latest changes to Kindle and how it affects sellers and how to avoid getting your Kindle account blocked in the same way that thousands of sellers have in the past few weeks. This video was shot for The Video Blog Challenge run by my good friend Barry Wells, when you have finished here take the opportunity to go over to Barry’s Blog and see video from other contributors to the challenge including Steve King, Dawn Kay, Mandy Allen and Barry himself. Keep checking back as the challenge runs until March 29th Enjoy Rob.. I am impressed with your endeavour to understand all of kindle’s processes and procedures and even more so how you’ve stayed focused with their recent chopping of PLR. I know it’s a better customer experience overall, but it seemed to be a bit of a heavy handed approach to deal with it…the bottom line talks most I guess. I liked your thought process behind how you priced the books at $1…I did exactly the same thing with my iPhone Apps…longer term it definitely pays dividends. Top work mate…excellent as ever! Steve King recently posted..Reality check…or is it coming soon? I too like Steve am very impressed with your video, you’ve certainly cover a lot of content and I particularly like the legal part towards the latter part of the video where you discuss about Plr Content and how Amazon is taking drastic actions of removing similar content. Overall an excellent video and top job. Nigel Yip recently posted..List Build It 1 – What is List Building and Why Build a List? Hi Nigel thanks for dropping by, Kindle is one of those things that you need to be on top of as it can cahnge very quickly. Amazon have taken the sledge hammer approach rather than using a scalpal. Hi Steve thanks for dropping by, Kindle does give the opportunity to small publishers like ourselves but it can be a nightmare if you do not keep up to date with the changes to TOS, sadley Amazons own site can be really unhelpful and difficult to navigate. Hi Rob, Kindle is a big hit today in the market. Even I, loves this gadget. It helps me lot to do more on my write ups. This is really a big opportunity for me to get into online marketing and even in Amazon. Brilliant informative video and as I was thinking about putting my walking ebooks on Amazon it was very relative as well. At least copyright won’t be a problem as they are all my own work. I am also impressed as to how your voice comes over on the video – very clear and understandable. Looking forward to the next video. Thanks for taking part in my challenge and for linking to it, that’s very much appreciated mate thanks. I think your video is first class Rob and explains the process very well. I know all to well about their sledge hammer approach as they hit me with it 🙁 I wrote a review of Kindle Publishing Made Easy and whilst reviewing the product i followed every step. 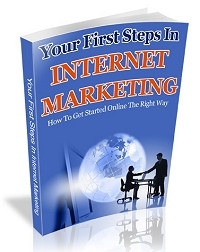 My priority was the review so i used a PLR product, added my links, changed the cover and then got on with following the instructions in the product i was reviewing. All was well until a few months later when the hammer fell. Now that I know they scan the content of the eBooks I can apply myself to sorting that out. I do have a couple of products that I am to place on there later this year so your video was well timed and very much appreciated. Thanks again for taking part in the challenge Rob, I’ve added your details to the Video Blog challenge page on my blog. I had the same thing happen to me last year like Barry. But, I got over that and have 4 books on Kindle right now. And a few at Barnes and Noble’s in their Nook store. It is really easy, as you explained in your video, to get your eBooks on Amazon. I think a lot people are going to find this video extremely helpful. Linda recently posted..My Blog was Hacked or Hijacked! I must admit I have been considering Kindle for a while, so this is brilliant for me. Long time, no see! It’s been awhile my friend. Great to see that you’ve entered Barry’s video challenge and I’m so happy you did a video and walked us through the process with Kindle. Most people are writing eBooks for you to buy to show you everything you just did so I’m a very happy camper. I’ve been wanting to learn how to do this and I know I should get moving in this direction. So maybe you just lit a fire under me to actually get started with this. Thank you so much and will most definitely look forward to what else you’ll be sharing with us. Hi Isabella, thanks for dropping by if you follow the guide lines I suggest it will reduce the risk of having your books pulled. Hi Adrienne, its certainly a good additional source of recuring income, just follow the guide lines and make sure your content is as unique as you can make it. Hi Barry W, thanks for dropping by and adding my link. I see you got the sledge hammer approach too. I had one book they queeried last Sept which was then approved, it was removed a few weeks ago with the usual threat of closing the account. Good luck with your books and watch for my video on using Create Space POD services, I have published some of my girlfriends short stories on it and it is excellent, just watch the PLR!! Hi Barry R. thanks for dropping by, just go for it with Kindle it wont cost you anything other than time and maybe a eBook cover from Fiverr ($5) so it’s really worth the effort. Hi Linda well done with your publishing venture its impossible in the UK to get your stuff on Barnes and Noble unless you have a distributer, Smash Words is one option for UK publishers. Hi Bill, thanks for dropping by lover the PDF’s of your walks, have you thought of using Create Space as a means of selling your books this would very suited to using pictures more so than the Kindle? The service and quality is excellent and it will cost nothing other than a proof copy. If you want to make it available to book wholesalers and distributers you can pay a fee of $39 to get your world in the book catalogs then it’s only $5 per year to aminatain it. Brilliant video mate packed full of great content. I really found this video immensly beneficial as I have not yet ventured into Kindle Publishing, but it is something I want to do at some point this year. Thanks again for sharing such valuable content, I know others will get a lot of benefit from it…looking forward to your next video. Great video on how to publish to Kindle. I have often wondered just how to do that. Your video is very clear and makes the process very easy. At this point I am not prepared to publish something on Kindle but hope to do it in the future. I’m just updating my Kindle course so you can have a copy when I am finished, The Audacity demo was done live so sadly there is no video of it. thanks for dropping by, glad you liked the video stay tuned for more Amazon related videos. I have looked at Create Space and their Royalty Calculator. It looks like I would have to charge $45-$50 to obtain my selling price for each book. The problem seems to be the number of pages and the fact that it’s in full colour. I know I could accept less but to achieve 50% of my selling price I would have to charge $37 per copy. With it being only of local interest I think the price would be too exorbitant to achieve any sales, or am I missing something here? I will look forward to your updated Kindle course mate, and thank you for offering me a copy, I really appreciate it. Very cool info. for sure. I have been wanting to delve into creating some books for Kindle (a series of them.) So yes I found the video and content very useful indeed. Nice video and very informative indeed Robert. So, as you said, it really is a simple process and something many will look into if they haven’t already. I really enjoyed the video. It seems that publishing ebooks on Kindle is becoming more and more popular. You make it look so easy, so I hope it really is. It is interesting that people prefer the flat book cover versus the more stylish angled book cover. Have you tested different price points to see which one might be better? thanks for dropping by, eBooks have got a rather bad name with all the rubbish that has been sold on eBay for years. Buyers associate, unfairly the typical eBook cover with a poor quality product. The flat cover looks like a book so it is perceived as a higher quality product high value product. Thanks for dropping by, Amazon are aware of this little trick. I have had books bounced on me for doing it! Overall an excellent video and top job. Amazon have taken the sledge hammer approach rather than using a scalpal. It helps me lot to do more on my write ups. This is really a big opportunity for me to get into online marketing and even in Amazon. Looking forward to the next video. So maybe you just lit a fire under me to actually get started with this. I see you got the sledge hammer approach too. Your video is very clear and makes the process very easy. It seems that publishing ebooks on Kindle is becoming more and more popular. Create Your Own Niche Affiliate Store On Any Websit.This was my bus tours site please reveiw it and give me some design suggestions since your website looks wonderful. Fab video matey and getting on the Kindle is something that I want to do this year so your vid couldn’t of come at a better time. Dawn Kay recently posted..Who’s pinning your blog posts on Pinterest? I dont have Kindle and I am also wondering whether it will be good for me or not.I think its little bit expensive.What you say, I buy kindle for this purpose or not?